New and improved design for 2017! 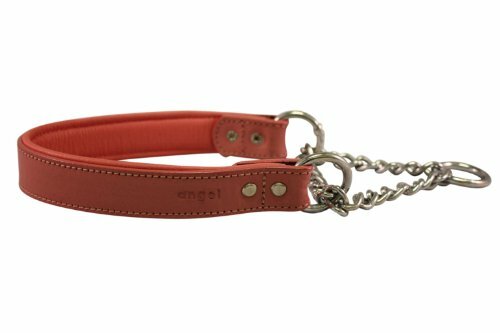 These collars now have the appropriate thickness for their size for the best fit! 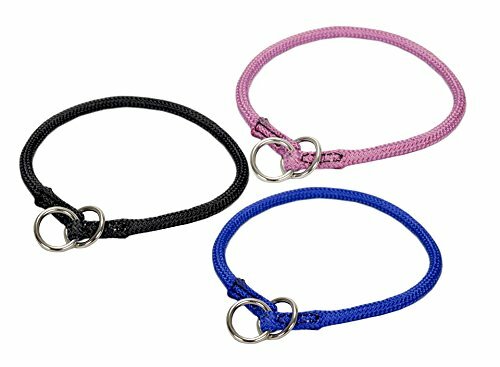 This cuteNfuzzy® nylon round braided choke collar is great for training. Get the ultimate control with out giving up comfort. Simple two ring system makes training easier. 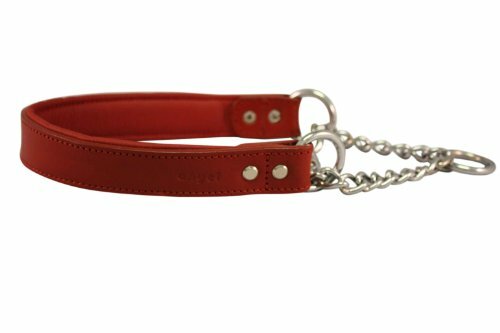 GoGo Martingale Collar, Medium/Large, 1" wide, fits a dog with a 16" - 21" girth, Red, Gentle Training Collar. 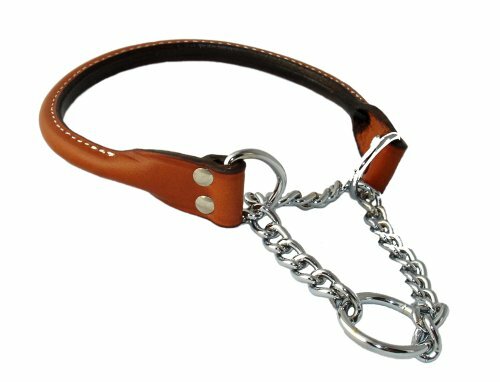 A great combination of nylon and chain that allows you to control behavior with a quick pull on the lead. 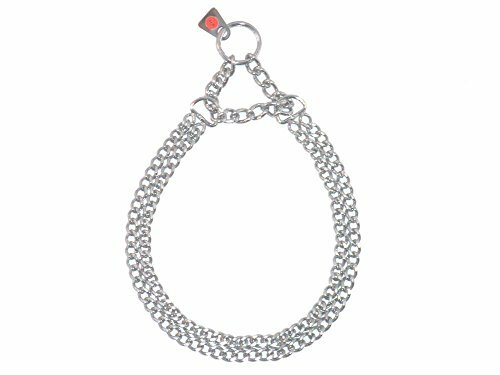 The nylon is adjustable and will reduce wear on the fur; the chain offers limited closure which prevents it from becoming too tight.